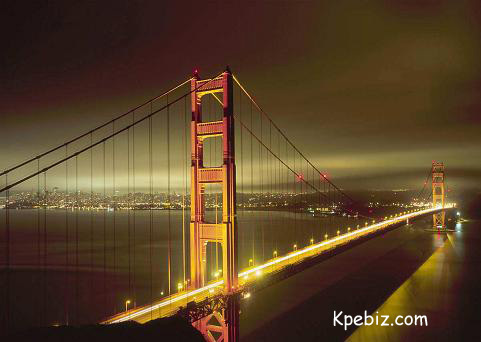 What does a bridge, no less a ‘golden’ one, have to do with mediation and negotiation? Well, the term is from William Ury’s book, Getting Past No [here at Amazon and many others]. Building a golden bridge refers to making sure you have satisfied and overcome the the four common obstacles to an agreement: involving them in devising a solution, meeting unmet interests, helping them save face and finally making the process as simple and easy as possible. There is much more to just making an attractive offer to the other party. If the above listed criteria are not satisfied, you might find yourself making what you think is the best offer for them, and then surprisingly they reject it. It is known that an agreement has a greater chance to be long lasting when the parties involved in the agreement also have input into what the agreement states. Even the best agreements can fail, or not even get finalized, if a party feels that they are being shut out. Simple ways to ensure everyone is involved is to ask them questions like, “what do you think?”, “how do you see it?”, “what should we do?”. Even if you are the one who suggested the idea earlier, do not take credit for it. You can say, “as we mentioned earlier”, or to connect your comments with theirs, as Ury states, you can say something like, “building on what you said earlier…”. Yes, your mediation/negotiation might be about money but many times there is more to it. Satisfying the amount of money to be paid still will not get the agreement completed if other interests are not met. Remember, everyone is different and unique and thus not everyone has the same values as you. Money might be your bottom line, but they might be equally interested in saving face (the next one I discuss), the importance of the relationship and/or keeping the name of the company/business, etc. Ury adds to make sure the basic human needs are not overlooked as well: security, recognition, and control over their own fate. 3) Saving face. Just recently I mediated a case involving thousands of dollars, and through various offers and counter offers, we were able to whittle it down to a difference of only $500. Yes, that’s all it was but both sides dug their heals. Why, both wanted to save face and ‘beat’ the other. They had made it so far, but still needed to save face with themselves, in the eyes of the other party, and with their peers. So how do you get beyond that? Remind yourself, and them, the only way for an agreement to be achieved is if both side’s interests are being met. Also, put yourself in the other party’s shoes and help them. Yes, help them! This is a collaborative effort, so if they need to save face, give them help on how the potential agreement can do that. Ury adds other valuable options such as seeking the advice of a neutral third party and finding a standard fairness. 4) Keep it simple. Yes, keep it simple means try not to lump everything together but rather take it step by step. At times, taking care of each issue alone will help things move faster by actually going slower. Yes, I am saying go slow to go fast (I am actually repeating it, Ury said it first). People might like to slow things down too, because getting to an agreement too fast, on what is something very important to them might make them hesitate in making that final agreement just on the fact it’s happened too fast. Finally, if issues are related, it might be better waiting to try and get commitments on each until the end. I hope this Golden Bridge list of tips helps you in your future mediations and negotiations, I can tell you it has for me. If you do find them interesting, I highly suggest you get the book.